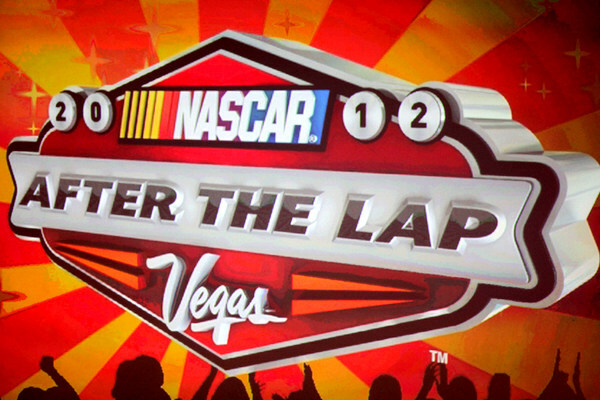 The state of the sport of NASCAR racing, as we head into Sunday's championship finale? 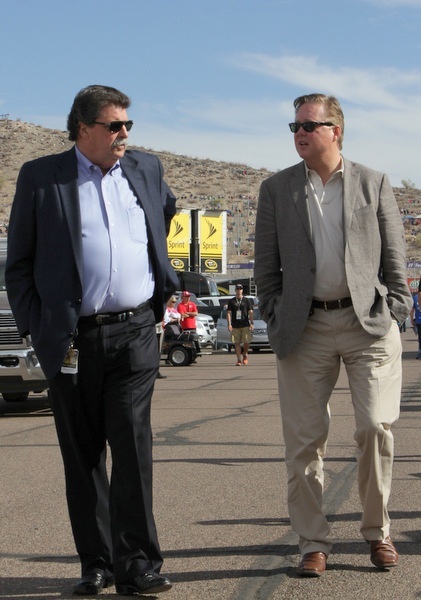 Mike Helton, the NASCAR president, discussed it here Friday. Brian France, the sport's CEO, is to discuss it at the Las Vegas awards banquet in three weeks (though there are questions about just what kind of media/fan reach this Vegas thing really delivers). 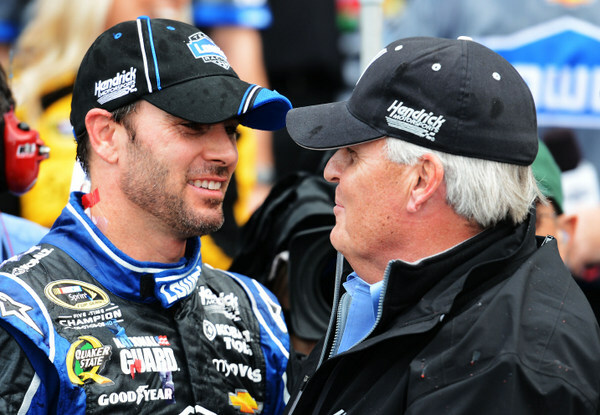 For starters, it's hard to miss the fan reaction -- positive and negative -- to yet another Jimmie Johnson championship. And has this 2013 stocker been a cure-all? Is the action any better this year than last? Are TV ratings turning around? Are crowds coming back to the tracks? Let's briefly consider a few things here. It's the 10th season that Brian France has been at the NASCAR helm, and certainly a lot of things have changed over that span. Perhaps the biggest is all the money France has brought to the table, $8+ Billion from 2015-2024, a whopping increase from his previous two Billion-dollar deals. How the guy can squeeze this much money out of sponsors for a sport that has suffered TV ratings declines since 2005 is amazing. How's this chase shaping on television? About the same, in ratings, as last year. No big turnaround. The 2012 playoffs averaged a 2.7 TV rating per race; this year's playoffs are again so far averaging 2.7s. That's down from the 2011 Tony Stewart-Carl Edwards chase, which averaged 3.1 ratings. That in turn is down from ABC's 3.5 chase average in 2009. Only two playoff races this year have broken 3.0, Charlotte and Talladega. -- The car-of-tomorrow came and went (six years later), a run in which this sport's popularity took a deep plunge, perhaps coincidentally, perhaps just ironically. --The still-not-that-popular championship playoff format (reaction to Matt Kenseth's 2003 title romp) became such a key part of the sport....and judging from the numbers, to not such good advantage. -- The shuffling and reshuffling: like Darlington's Southern 500 got moved from South Carolina's Sandhills to Los Angeles/Fontana....North Carolina Motor Speedway at Rockingham dropped...a second Cup race added at Kansas City....that second Fontana/LA race cut from the tour...that second Atlanta race cut from the tour....now Darlington's lone remaining Cup race moved off a solid Mother's Day weekend to an earlier April date, for still murky reasons but certain to reinforce the sense that Darlington Raceway has little political clout in this sport any more. -- Toyota joining the Cup series....but Dodge dropping out of NASCAR completely (with no real signs of a return any time soon). -- One of the sports world's strictest drug policies was established, and it is enforced with an iron fist. Championship crew chief Todd Parrott the most recent casualty. -- The change-up sponsorship from R.J. Reynolds' Winston brand to Nextel/Sprint (and with that, a noticeable loss in grassroots marketing). 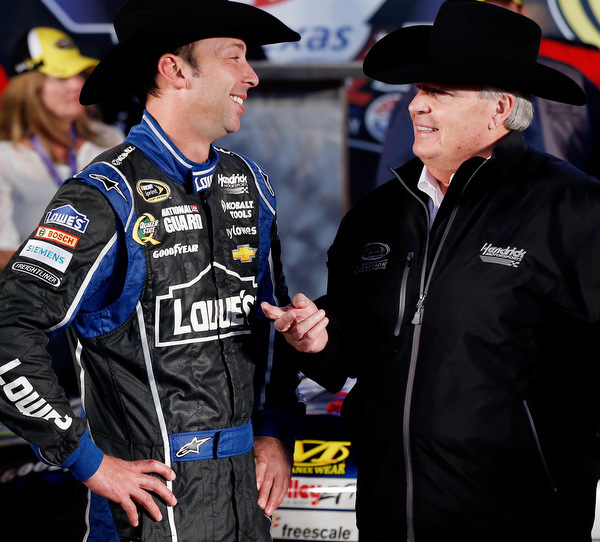 Through it all, there has been one consistent theme -- Jimmie Johnson and Chad Knaus. During these 10 years, (presuming Johnson takes the title here this weekend) Johnson will have won six of the 10 championships. During these 10 years, Johnson has 60 tour wins. That's nearly twice as many as the next man on that list, Tony Stewart (31 wins). How dominant has Johnson been these last 10 years? Compare his 60 wins to rival stars: Stewart with 31, Kyle Busch with 28, Matt Kenseth and Jeff Gordon with 24, Denny Hamlin with 22, Carl Edwards with 21, Kevin Harvick with 19, Greg Biffle with 18, and Kurt Busch with 16. In a footnote, Rick Hendrick here Friday pointed out that under his 'random engine assignment' policy, it was "only luck of the draw" that Dale Earnhardt Jr. drew the engine that blew up in the playoff opener at Chicago, instead of teammate Johnson. Earnhardt wound up 40th, falling out of the chase the opening night; Johnson finished fifth. The difference -- 30 points. Johnson comes in here with a 28-point lead over Kenseth. One thing about the late Bill France Jr. -- he listened to the sport's little guys as much, sometimes even more, than the big cats. Not so sure about Brian France there. In fact the third-generation France has been almost invisible most of the time. Of course it's hard to argue with the strategies of a man who can deliver $8 Billion. race passing elevated. We've had 16 different winners. 6 is a big symbol of the cooperation of everybody in the industry." -- "Kyle Larson on the verge of being the Rookie of the Year speaks to our diversity program and the interest that NASCAR has tried to build throughout its programs to attract young and future talent. "Darrell Wallace Jr.'s win in Martinsville... Eric Jones, Chase Elliott, you see that young crop of very talented, very personable, very exciting style come into the sport. That's promising for the future." -- "One of the highlights of '13 will be the Eldora (dirt track) Truck race, with Austin Dillon winning. It was an opportunity for NASCAR to be nostalgic and at the same time have a lot of fun and remind many of us how much fun this sport is and can be. We look forward to going back to Eldora. It was certainly a great moment." -- Safety, in light of Stewart's sprint-car crash in August and Denny Hamlin's Cup crash in March at Fontana and other crashes this season have put a focus on safety, particularly the places around tracks where there are no soft walls. Drivers have called on NASCAR to put soft walls everywhere. But the sanctioning body has not yet done that. Helton gave only a brief nod to that, and media questions here were softballs that didn't touch on such sensitive points as missing soft walls and the still dangling questions about how NASCAR plans to use its planned driver baseline cognitive testing to assess next season whether or not a driver is okay enough, after a crash, to continue racing. Brad Keselowski has raised that point. NASCAR has offered no direct answers. And the media has not pushed that point. -- Helton pointed to "The evolution that's going on on our competition and R & D side of our business." That, according to people familiar with behind-the-scenes action, may not be really going that smoothly, with newcomer Gene Stefanyshyn, a 30-year General Motors executive now in charge of the R&D department, apparently in charge of rewriting the rulebook, a daunting project to be sure. The 'evolution,' Helton says, is "up and running. It's not completely through a cycle yet, but it's well on its way. "It includes more dialogue with race teams ,and different layers of a race team, more internal layers to work on, everything from parts approval to the rule book to the enforcement and regulations and how we use technology and innovation to make the sport better, to do our job better, to make the sport more interactive and more enjoyable and more attractive... particularly to a generation that expects that." None of the media here raised questions about that. -- NASCAR, Helton says, is pushing hard to reach new demographics, and he points out "that's requiring a good deal of effort and a good deal of investment, and we're willing to do that." Of course NASCAR is not alone in struggling with that dynamic. The 7-17 male audience has been particularly difficult for pro spots to target correctly. -- Helton, in a nod toward Daytona's $400 million capital improvement project, and perhaps talking too about improving some other tracks like Phoenix, says "The tracks continue to invest in their facilities." That is a point pushed hard by International Speedway Corp. boss Lesa France Kennedy. -- In a curious turn, Helton called the Richmond/Michael Waltrip controversy in early September "a defining moment (in the season). That moment will be reflected on for many years to come. But I think we've moved on." Well, the crowd's reaction to Clint Bowyer's introduction may give a better analysis of that. -- And what about 2015? That's when NBC takes over the second half of the 10-month season. NBC is to pay billions for the rights to this live sporting event for a 10-year run. And both NBC and NASCAR worked hard behind the scenes in late summer to try to get the transition ready for 2014....with several intriguing proposals to shake up the season's final 10-race playoff calendar. To which Helton would only beat around the bush: "NBC is coming back, and they're very interested in what their product looks like.... we're always anxious, as well as some of the promoters are anxious to mix it up, if you will, to make it work better. "When we first started the chase, we said we weren't going to change the schedule to fit the chase, but that was 10 years ago. Things change." He declined to talk about any specifics, such as Bruton Smith's interest in his Sonoma track being added to the chase. Submitted by Aaron Baird on Fri 11/15/2013 - 16:01. Helton speaks and the media just offers up softball questions. Ryan's article is a puff piece on how great the sport's fearless leader is. Thank God for you, Mike, to tell it like it is. The BZF era has seen a huge increase in TV rights, but declining mainstream interest, attendance, viewership, sponsorship, and teams. The fan base is aging, and newspapers are dropping coverage of the sport. How is that good for business? BZF, Helton, and all the minions in the Ivory Towers in Daytona have no clue what the fans really want. Bill Jr. listened. He listened to the small guy. He listened to the fans. he was a promoter who lived and died for the sport. His son is an aloof silver spooned executive who has no interest in the garage or the fans. He would rather hobnob with TV and Fortune 500 executives, and let Hilton and his subordinates run the sport. BZF is Nero watching Rome burn. For 30 years I gave my heart to NASCAR. I spent thousands of dollars and countless hours watching each event. I had the MBNA credit card, and own over 200 die cast cars. Since the introduction of The Chase my interest has started to decline. This year I reached the end. I attended Chicagoland, and from that point on, the passion is gone. The excitement I used to have is gone. During a race I actually fell asleep in the stands due to boredom. I deleted all DVR settings for the sport, and did not watch a single lap of the last 3 races. I stayed in touch through Twitter to see how the race would play out. I enjoy reading articles and tweets of the event, but no longer have the interest to watch a 3 hour parade lead by JJ and dominated by HMS teams. Judging from the stands at all the tracks other than Phoenix, I think more NASCAR 'fans' are following my lead.